What a fantastic experience, no wonder there's so many other smart people also doing this! 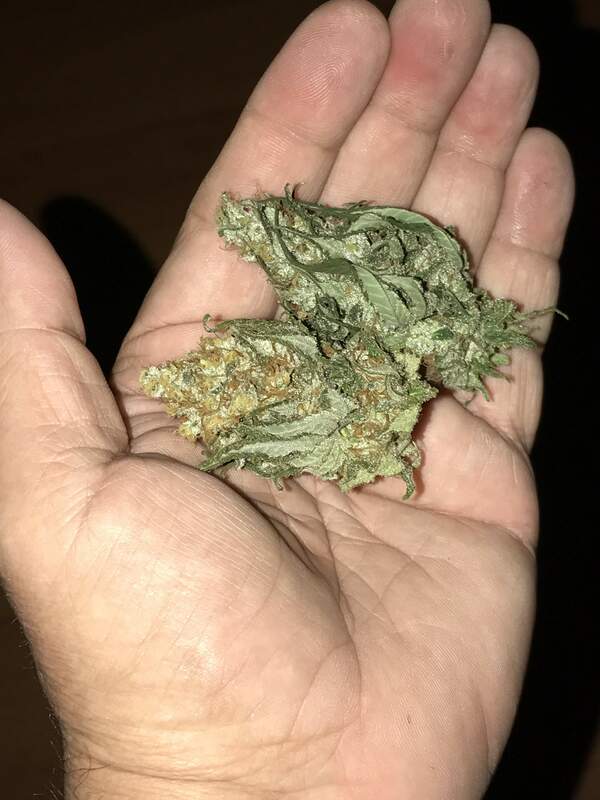 I'm really happy that everything went so easy, and that my first grow ended up with better results than expected. I wanted to keep my first grow fairly simple, but also get some reward for the time & care. Getting such a great result immediately has you thinking of all the options & new things to try during the next grow to make it even better! The Blackberry Kush was a great choice, and is a really pretty plant when flowering. I'm glad that I bought a 40x to truly appreciate seeing all that sugar up close. And for any indica lovers, this one is living up to its high THC (24% claim); I will of course keep experimenting to make sure! As promised (and advertised) this product was also SUPER easy to use. This will always be a cornerstone to my growing projects. For my first grow, I'm really satisfied with how easy and fast the 3 months went, even considering how generally impatient I am. The sweet harvest was definitely enough to make me have a big grin for days! The cutting & trimming was a really fun learning experience. I definitely learned a lot of other things too, which I know will really help a ton on my next grow. All in all, I can't complain because I wanted to keep things simple and still have a decent result. I also harvested a bit early, but from all the reading it seems for what I wanted it was better to harvest earlier than later. After all, it's all for ME! Still needs a bit more curing, I'll add some final notes soon. Please note that to add the light and grow room size data, I divided the room sq' and light by ten to approximate, as there were other plants also being grown (SOG) in keeping with this diary & data focus on only the one Blackberry Kush. Update; after curing in the quart mason jars with the required airing (like that's a problem when "sampling" every day) l am happy to report that time has brought out the flavor big time. Definitely more berry/citrus but also a very sweet earthy taste too.